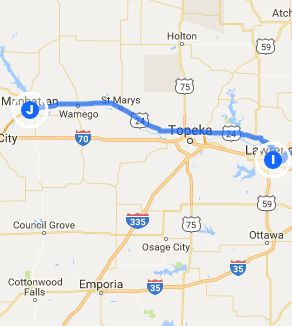 Trip Log – Day 319 – Lawrence, KS to Manhattan KS | How Will We Live Tomorrow? One word describes the challenge of crossing the plains – wind. Today the wind and I did a subtle dance as I moved west and it came out of the south. When the wind shifted a bit east or my route veered to the north, I tacked it to advantage. But if my route pivoted even a few degrees or the wind shifted to the west, it pressed against me. Either way, my cycling was easier than when I crossed North Dakota and encountered steady winds from the west for days on end. Let’s hope these breezes keep prevailing. 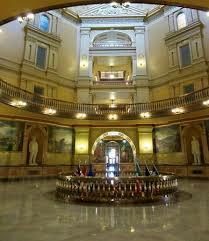 The Kansas State Capitol in Topeka is a gorgeous structure that underwent extensive restoration in 2009. They excavated the basement to expose giant granite foundations and put the museum exhibits in this grotto-like space. I thought it very effective. 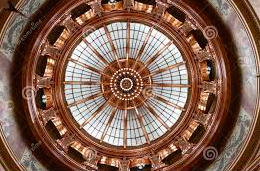 Then, you rise up to the ornate chambers and elaborate dome. The rough stone below and intricate ornament above create a wonderful counterpoint. 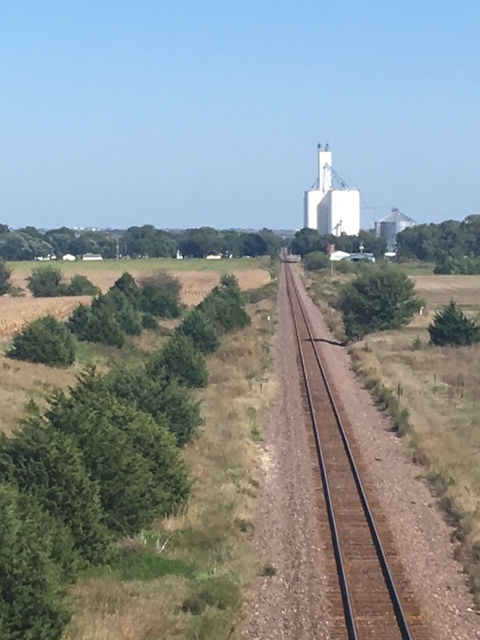 It was after noon when I started the long slog to Manhattan: forty miles before I got a real break in Wamego on a very hot day. When its 95 degrees out, the contents of my water bottles keep my hydrated but don’t refresh. After cold PowerAde, the last fifteen miles were a breeze. I stayed up past midnight talking with a wonderful local couple that lives in an old hotel downtown turned to apartments: appropriately urban for a Kansas town called Manhattan. 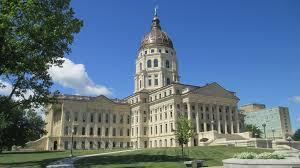 This entry was posted in Bicycle Trip Log and tagged Kansas State Capitol, Manhattan KS, Wamego KS. Bookmark the permalink.